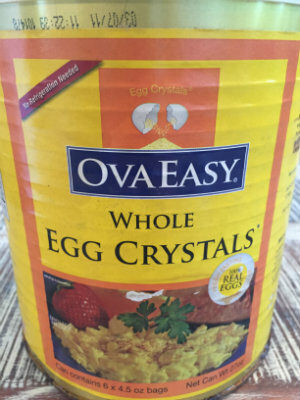 Ova Easy Egg Crystal pouches are packaged with 12 eggs worth of powder and no additives. The portion packaging is great, since the can comes with small scoops to measure portions out of the pouches. 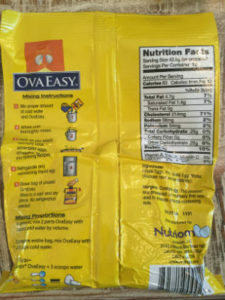 The pouches are good for a couple years in storage, but when combined with the can and the oxygen absorbers, the egg crystals are good for up to 7 years. The nutritional value is pretty much the same as an egg, but they remove some glucose (sugar) in the dehydrating process to keep the powder more stable. Also, with the removal of water, they weigh less per egg. With almost half of it's weight being protein- it is obviously a great protein source! SG: Ova Easy eggs seemed a little gritty at first, but that was probably just my imagination. Or it could of been that they were expired a couple months in a compromised #10 can. The powdered eggs still tasted very similar to fresh eggs. 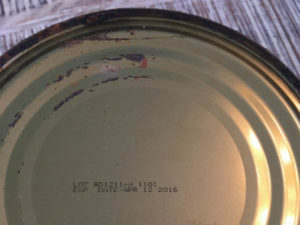 We cooked up a batch of eggs despite the expired date and the rust on the can. The can rusted from being stored in too humid of an environment. 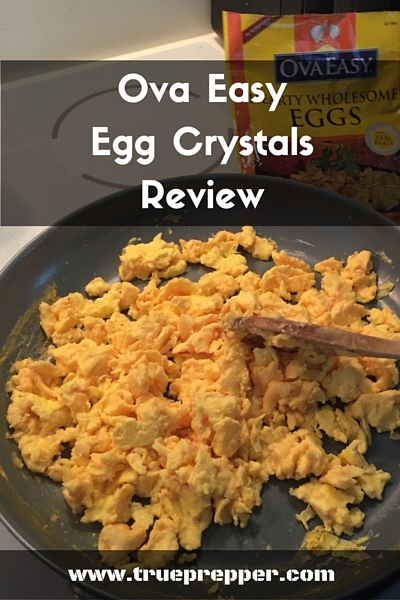 The egg powder was easy to cook- just add water to the crystals and scramble. 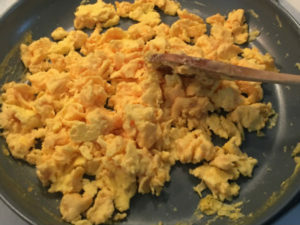 One of our taste testers ate a little too many eggs and had an upset stomach afterwards, but that was probably not salmonella and more of an egg overdose. 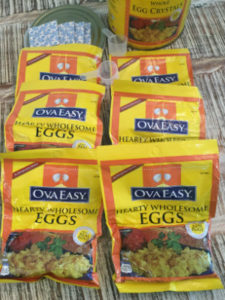 Ova Easy eggs are an easy, lightweight, and convenient way to get calories and protein while still tasting good. 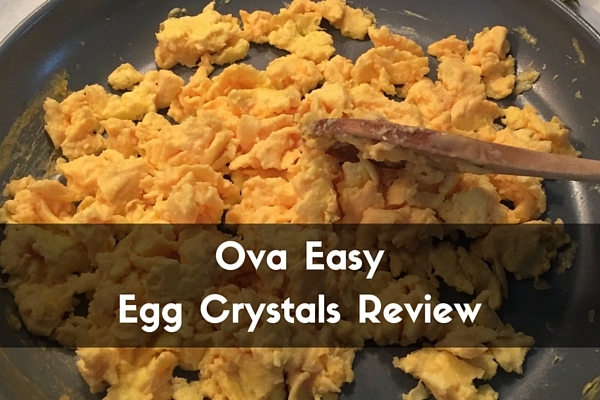 Whether backpacking or prepping, Ova Easy Whole Egg Crystals are a great way to start the morning with some scrambled eggs or an omelet. We recommend it here at TruePrepper, and enjoyed taste testing ours. Lodge Cast Iron Griddle 10.5"